va-Q-tec is hosting the regional phase of the German science contest for young students “Jugend forscht”. The event is taking place from February 28th until March 1st at the va-Q-tec headquarters in Würzburg. 120 students between 14 and 21 years will present their projects in seven different categories such as biology and chemistry. A jury of qualified experts in each category will judge the projects and decide who moves on to the final. The “Jugend forscht” contest was established for the first time in 1965 under the motto “we are looking for the scientist of tomorrow”. Every year ever since the German national contents has successfully encouraged young people to pursue different research topics in the science field. 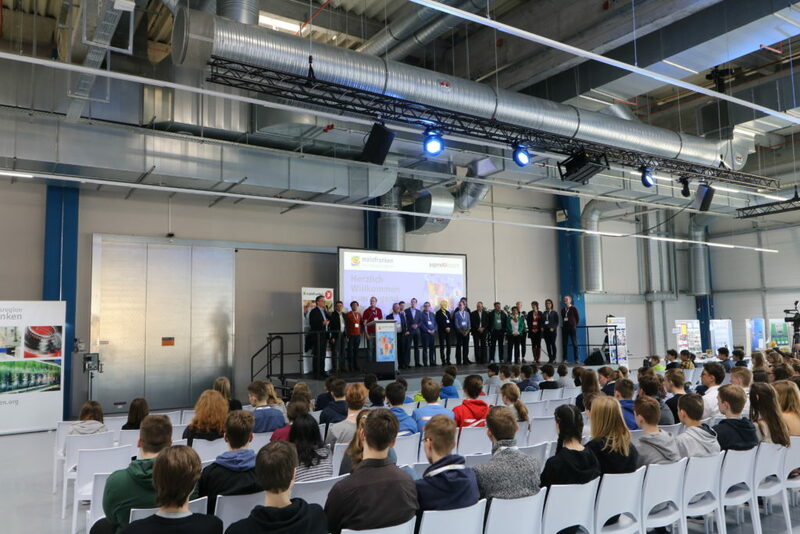 va-Q-tec is proud to be having the Lower Franconia (Unterfranken) regional contest and is excited to host students, teachers and the jury for two days in the name of science. The company has a rich tradition of innovation and entrepreneurial thinking outside the box and therefore sees the partnership with “Jugend forscht” as a perfect match. va-Q-tec was founded in Würzburg in 2001 out of the university environment based on research in thermal insulation conducted by Dr. Roland Caps and Dr. Joachim Kuhn. “We are very excited to welcome curious young scientists who are part of “Jugend forscht”. va-Q-tec wants to help the German tradition of high quality research and innovative thinking by motivating and encouraging young people’s interest in science. “Jugend forscht” is a great initiative that we are very happy to support in our new facilities.” CEO and founder Dr. Joachim Kuhn states. This event is also a milestone for va-Q-tec’s headquarter in Würzburg since it will be the first event in the newly constructed Blue Hall. The multi hall is around 1000 m2 and can hold up to 800 people. The Blue Hall is va-Q-tec’s new event hall that will not only benefit the company but also other interested parties from the region.